To make a quick sauce when pan-frying chicken breasts, steak or pork chops, deglaze the pan with a splash of wine and a bit of Better Than Bouillon® Chicken or Beef Base. Remove from heat and swirl in a touch of butter. For a quick, easy and nutritious side dish, sauté your favorite greens (kale, spinach or Swiss chard) in olive oil and Better Than Bouillon® Roasted Garlic Base just until the greens start to wilt. When making frittatas, omelets and scrambled eggs, season the eggs with Better Than Bouillon® Seasoned Vegetable Base for instant flavor. 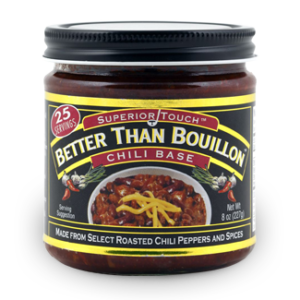 Add Better Than Bouillon® bases to Italian pasta dishes. Try Better Than Bouillon® Roasted Garlic Base in fettuccine Alfredo and spaghetti carbonara. 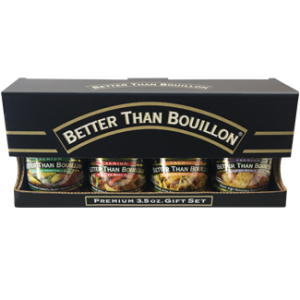 Try Better Than Bouillon® Seasoned Vegetable Base in pasta primavera and Better Than Bouillon® Roasted Beef Base in meatballs, tomato sauce or Bolognese sauce. 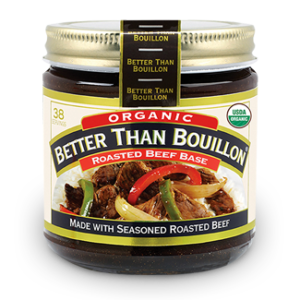 Since Better Than Bouillon® Roasted Beef Base and Better Than Bouillon® Roasted Chicken Base are already concentrated in flavor, they’re a great time saver when making sauce reductions and gravies. 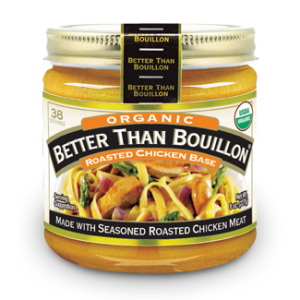 Stir Better Than Bouillon® Roasted Chicken Base or Better Than Bouillon® Roasted Beef Base into caramelized onions for a delicious finish. 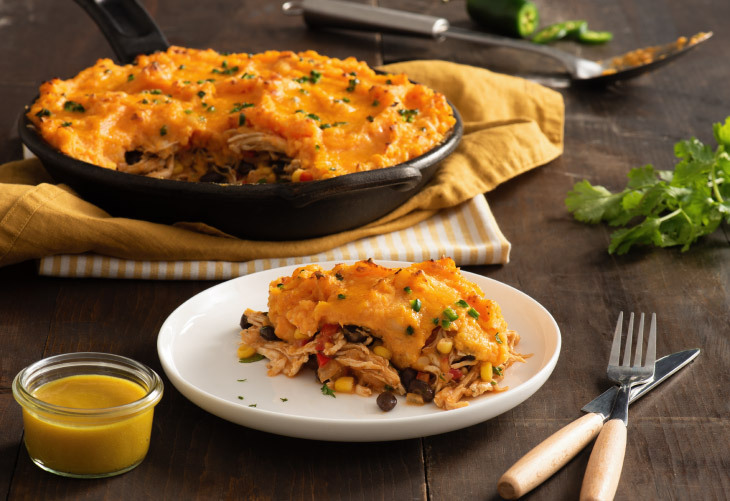 Mushrooms are watery by nature, so sauté mushrooms with Better Than Bouillon® Roasted Chicken Base to intensify flavors. Steam mussels or clams in Better Than Bouillon® Roasted Garlic Base and beer for an easy dinner or appetizer.